I’ve had this blog a long time, uhm-ing and ah-ing over which direction to take it, what I was doing at the time, and then I’d inevitably get distracted by either cookies or glitter and then -WHAM BAM- still no start of blog in sight…. Well no more, procrastination brain! Today we start a new kawaii-filled journey! With chocolate sprinkles and stuff on it too, with a side of strawberry ice-cream TO FINISH IT OFF. Wait, this isn’t about a finish – this is about a start! 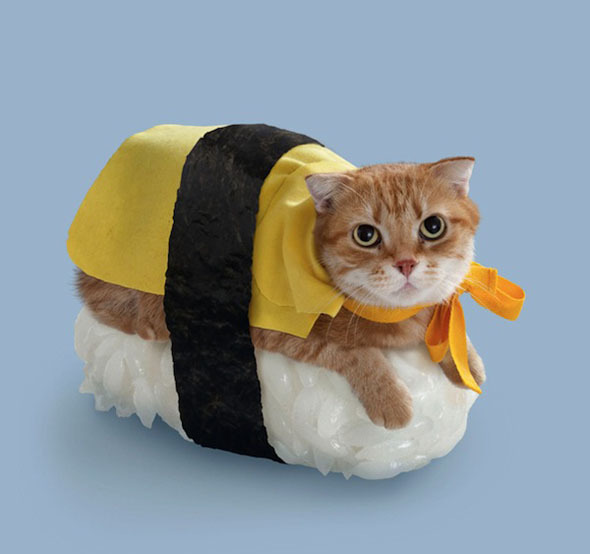 So to bless this first post (and hopefully to punch my procrastination brain into a semblence of a routine) I shall bless it with the power of TAMAGO NIGIRI CAT. GO MY FELINE SUSHI CHARM! FLEE WILDLY INTO THE BLOG WORLD AND BRING ME PROSPERITY IN THE FORM OF CHOCOLATE MICE AND PASTEL COLOURS!